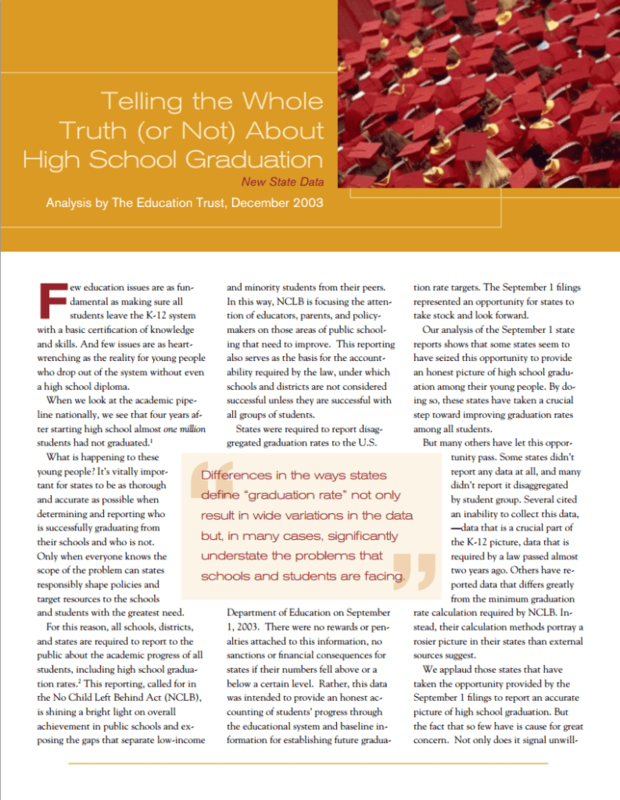 This report highlights the need for states to better report their high school graduation data. Ultimately, this data should result in greater awareness of how many students, particularly low-income and minority students, make it through high school. A state-by-state analysis of graduation rates in all 50 states demonstrates that while some states seem to have seized this opportunity to provide an honest picture of high school graduation among their young people, many other states were lax in reporting complete and useful data.